Rochester, MN shines brightly during the holidays, with festive events and performances, charming lights displays, and unique shopping. The city’s magic and warm hospitality are on full display during the holiday season, making it the perfect time of year to visit. Here are some of the top things to do in Rochester, MN during the holidays. For additional holiday fun ideas (including the Santa Rampage bike ride, Pet Nights at Santa&apos;s Workshop, and more), scroll to the bottom of this page for listings of seasonal events. Or, check out a round-up of dazzling New Year&apos;s Eve events. 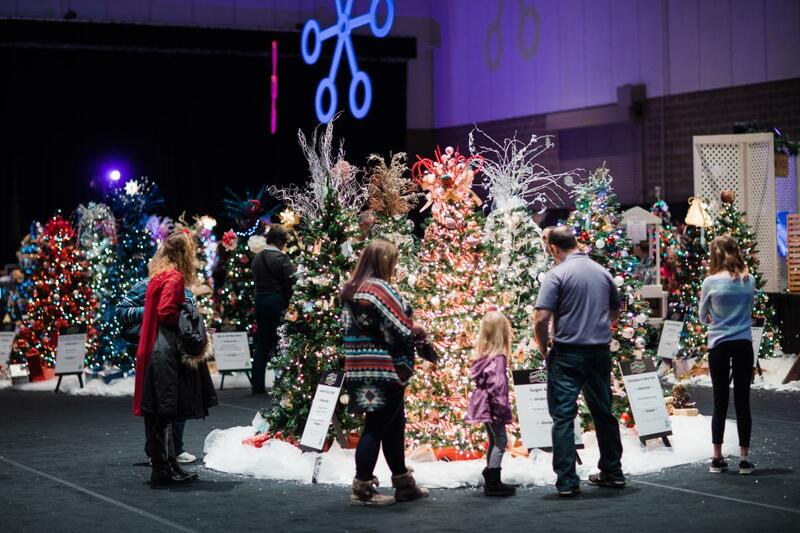 Kick off the season at the Festival of Trees. One of Rochester, MN’s most cherished holiday traditions is the Festival of Trees, A Celebration of Giving. Stroll through an auditorium featuring dozens of ornately-themed and decorated Christmas trees. Enjoy entertainment, shopping, activities, and a tasty treat. There’s no better way to get into the holiday spirit! Enjoy a merry evening of entertainment. Round up your family and friends for several holiday-themed concerts and dance productions between Thanksgiving and Christmas, including: Moscow Ballet’s Great Russian Nutcracker; An Andy & Bing Christmas; Under the Streetlamp: Hip to the Holidays; Lorie Line: Lord of Lords; Tonic Sol-fa: The Greatest Holiday Show. Toss your holiday to-do list aside and enjoy an evening of top-quality entertainment that’s bound to leave you humming your favorite holiday tunes. Light up the night. Grab your mittens and head downtown to the Peace Plaza tree lighting ceremony, which is part of the family-friendly Here Comes Santa Claus event. Holiday lights-lovers should also hop aboard a Jolly Trolley Holiday Lights Tour or a Jolly Trolley Holiday Lights + Santa Tour, and check out the ZooDazzle event at Oxbow Park & Zollmann Zoo. Find the perfect gift. Rochester, MN’s fantastic array of locally-owned shops and boutiques are perfect spots to find unique gifts. For special deals and an extra dose of excitement, shop at downtown businesses like Hers Clothing, Tangerine, or Primp on Nov. 24 for Small Business Saturday. Buy from local crafters and vendors at the Ho-Ho-Holiday Crafts & Vendors show at Graham Park. Pick up gifts for the foodies on your list at the FEAST! Local Food Marketplace event. Or, shop til you drop (and see Santa Claus!) at Apache Mall. For a healthy dose of holiday charm, visit Rochester, MN during the most wonderful time of the year! Plan your visit today.